In game detail (e.g. 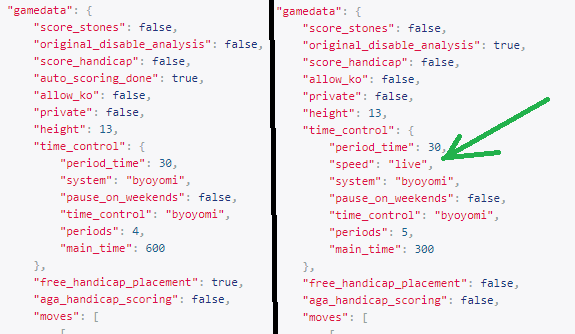 https://online-go.com/api/v1/games/12752566) in “time_control_parameters” and “time_control” there’s “speed” sometimes specified, and sometimes it’s missing. Why?